Many people recognise the positive impact of country-specific UN Special Rapporteurs (and other Special Procedures dealing with country-specific situations) in South Africa and Latin America during the 1960s, 1970s and 1980s, praising them for, inter alia, documenting human rights violations and encouraging democratic transitions in their countries. Today, however, some States question the value of country-specific Special Rapporteurs, and call for this tool to be removed altogether from the toolbox of the Human Rights Council (‘the Council’). These States often claim to have a ‘principled position’ against these types of mandate, on the grounds that they are politicised, selective and – because they do not enjoy the support of the concerned State – that they do not work. Interestingly, some of the States that are the most stridently opposed to (most) country-specific Special Rapporteurs (e.g. Egypt, Iran, Pakistan) were actually responsible for the creation of the first country-specific mandates and, consequently, the Special Procedures system as a whole. Other States continue to support country-specific procedures in principle, and continue to call for the creation of new country-specific procedures at the Council. Those States (and most NGOs), tend to raise points of principle – i.e. that the UN must respond to situations of violations – rather than argue against the notion that country mandates do not work. Unfortunately, there has been relatively little objective evidence gathered in support of any of these claims, particularly in relation to effectiveness and impact of country-specific work by the UN Special Procedures. In the absence of such objective information and analysis, debates around country-specific initiatives at the Council have become more and more politicized and polarized. The Council entering its second decade provides a timely opportunity to reflect on the role of country-specific Special Procedures in the promotion and protection of human rights: to assess their utility and impact; and consider how best to support and strengthen them. Such reflection would allow for an objective and detached assessment of the strengths, weaknesses, credibility and potential impact of these mandates, avoiding politicisation. That is precisely what this project seeks to do: to draw lessons from, and assess the impact of, a sample of past country-specific mandates, namely: South Africa, Chile; Equatorial Guinea, Guatemala, El Salvador and Rwanda. It will also address the emergence and the impact of the first thematic mandate – the WGEID – specifically in relation to Argentina, the State it was initially intended to address. Focusing on past – rather than current – cases will provide the benefit of historical distance, and will also allow for the involvement of the actual States concerned by those mandates, diminishing the politicisation of the discussion. It is worth noting that such States are generally supportive of country-specific Independent Experts (which tend to have a capacity building mandate) enjoying the support of the State concerned. 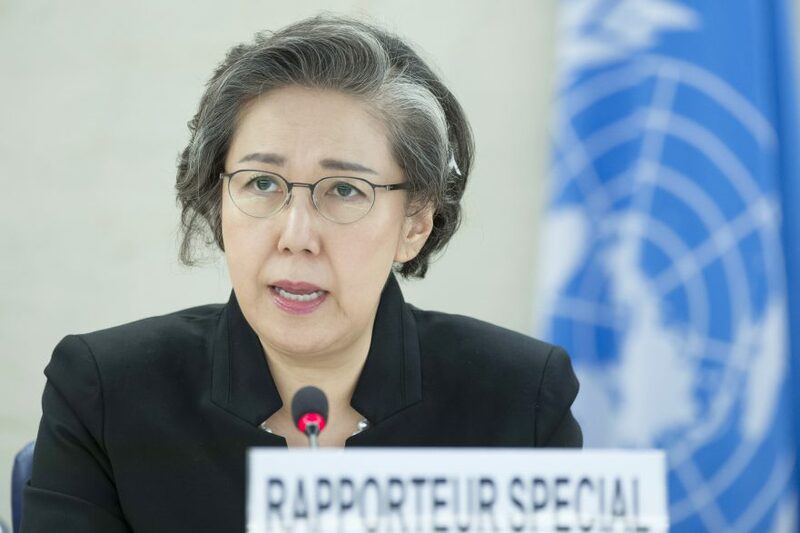 Image: Yanghee Lee, Special Rapporteur on the situation of human rights in Myanmar presents his report at the 31st regular session of the Human Rights Council. 14 March 2016. UN Photo / Jean-Marc Ferré. Licensed under CC BY-NC-ND 2.0.